Much like July, August has been a rather productive month. It seems so long ago that it just started, and I am absolutely amazed that it’s already over. This month I have tried to get as much done as possible before graduate school started again for me in September. Usually when school starts, my productivity tanks for a while as I adjust, but I’m hopeful that September won’t be too bad. 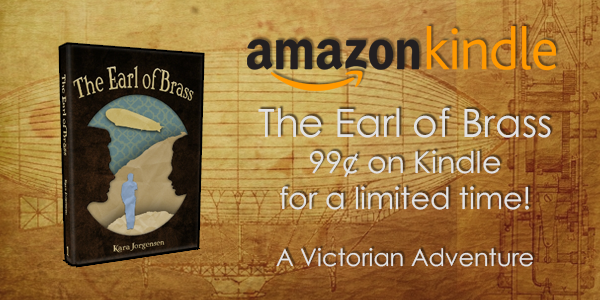 Put The Earl of Brass ebook on sale for 99 cents for a limited time. So I think I have finally found something that works when it comes to keeping my productivity up and at a good pace. Seriously, the word count tracking spreadsheet has done wonders. I’m now about 60,000 words into The Earl and the Artificer, which blows my mind because I’m over 2/3 through it! A few months ago, that was unimaginable. Now, the end is in sight in a few months (probably October). 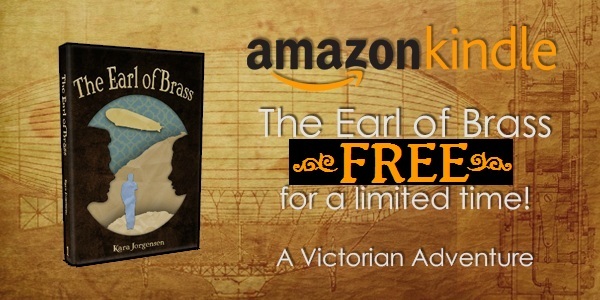 During this time, I also finished and released the audiobook of The Earl of Brass and the ebook of “An Oxford Holiday” on Amazon. Now that I know I can work on a short story and a novel without sacrificing either, I hope to release more companion short stories in the future. The best case scenario is that I might be able to release a Halloween themed one in October, but I can make no promises there, especially with the semester starting. 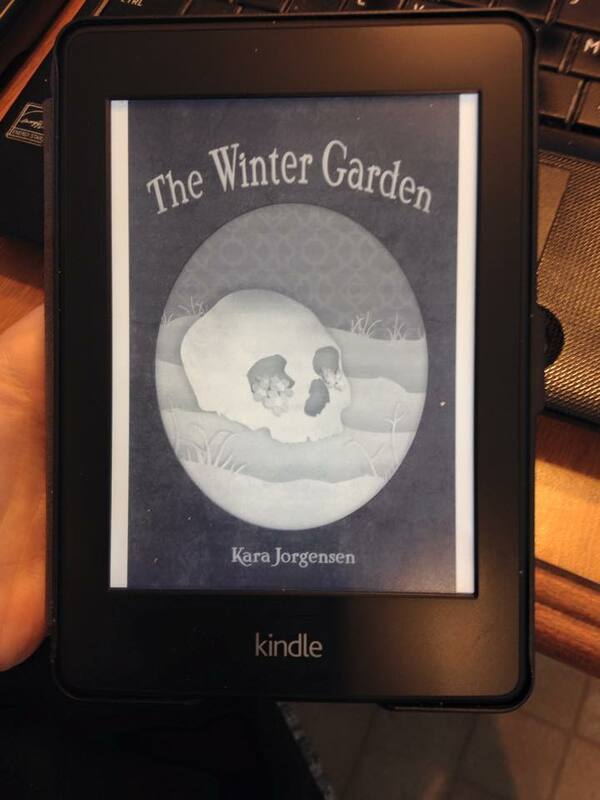 I also got a glimpse of the audiobook for The Winter Garden, and it is perfect! I am so looking forward to hearing more, and while I would like to say that I hope my narrator will send me some this month, I won’t push it. He has a life outside of narrating. This has been an odd month. I’m feeling very productive in terms of what I have produced, but as of the last few days, I’m feeling incredibly drained. Last week, I had a workshop to go to, which is mandatory for my degree. I enjoyed it and it was incredibly interesting (about teaching writing), but it kind of drained me. It’s hard for me to be social and outgoing while surrounded by new people. It’s done now, just in time for the semester to start. Yay… Prepare to see me crawl back into my shell for about a month while I continually scream internally until I’ve adjusted to dealing with people again. Current status: exhausted and in denial that school is starting again in a few days. Today, I will be reading and chilling with my dogs in hopes of recovering some of that creative mojo since it’s edging toward burn-out level. This month also brought a new addition to our family: Miss Kate (named by my dad). 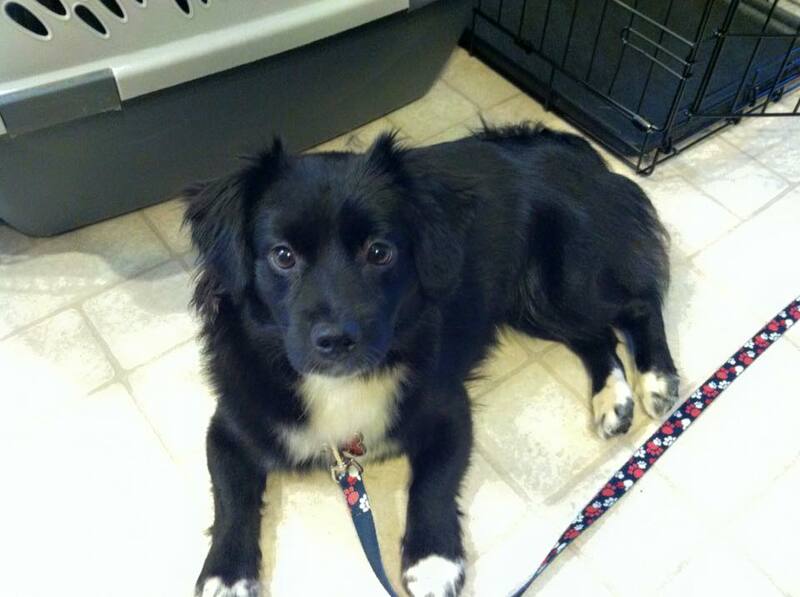 Kate is a border weenie, meaning she is dachshund and border collie. If you think she looks oddly familiar, it’s because we have 2 other border collie mixes (Edgar and Finny) who are also black and white and look a lot like her. The boys are still ignoring her, but they seem to be getting along. Don’t let her cute face and squeaky toy voice fool you, she has plenty of attitude. She already hip-checked Edgar and took a bone from his mouth. For September, my hope is that I can keep writing every day, even if it’s only a few hundred words. 500 a day for 30 days still equates to 15,000 words. 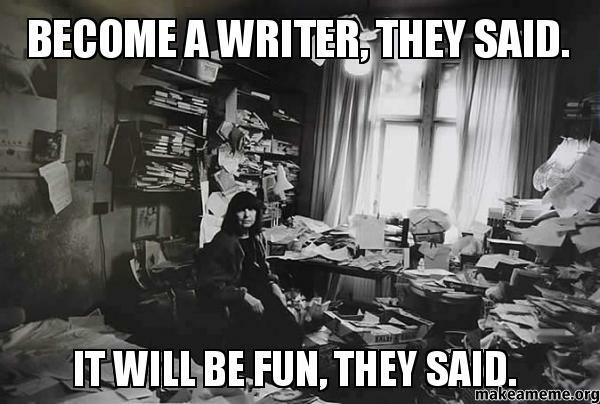 I only have two more semesters of grad school left until I have my MFA in creative writing, so I just need to power through and get it done. Who knows, maybe I’ll even be able to start outlining book four of the Ingenious Mechanical Devices. I’d love to begin writing that while editing The Earl and the Artificer. 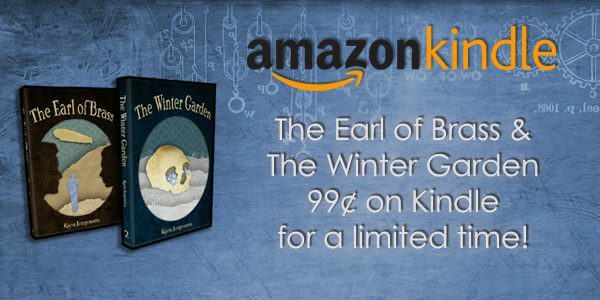 One last thing of note: The Earl of Brass is on sale for 99 cents for a limited time on Kindle. You can pick it up here. For the holiday weekend and the vote for gay marriage in Ireland, both books of the Ingenious Mechanical Devices series are on sale for 99 cents on Amazon. 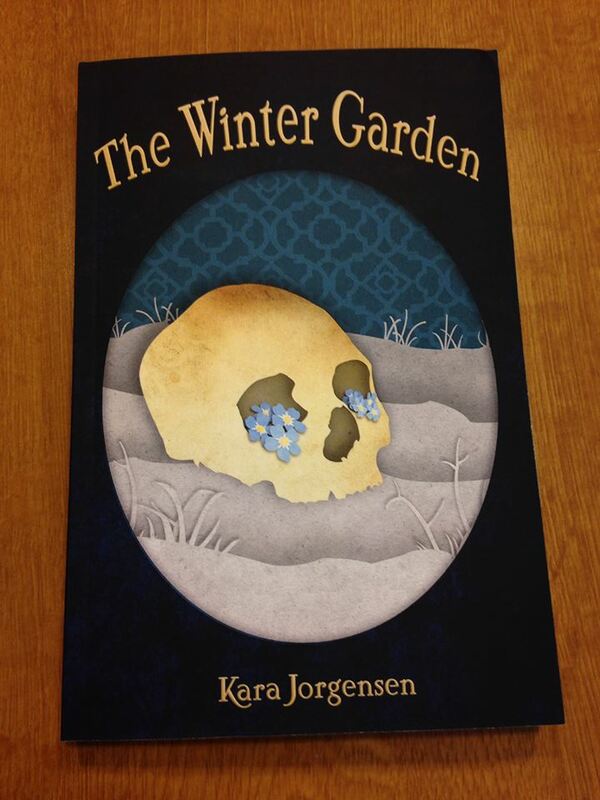 Both are set in the Victorian era and explore characters navigating a world that they feel excluded from. There’s cross-dressing, archaeology digs, underground civilizations, mad noblemen, soul-stealing machines, and a bit of romance. If you’re willing, please spread the word and tell your friends. Sale ends Tuesday morning.